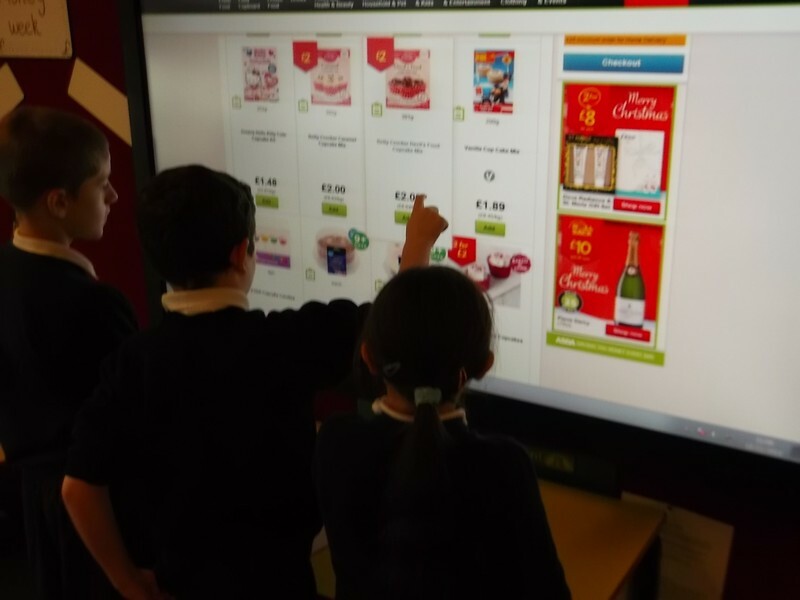 Today we finalised our shopping lists for our British Banquet. 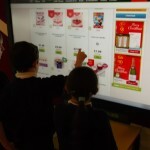 We had to make decisions about what we will spend our budget on. Then we had to consider what quantity of each item we would need for the whole class. Check our blog on Friday when we will post our final lists, ideas and evaluations of our TASC wheels. 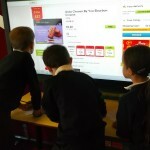 As part of money week we decided to look online to find out how much it will cost for all of the items on our list for our British Banquet. 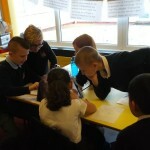 All week we will be working on our ability to work as a team and so far the Robins have shown a great improvement. 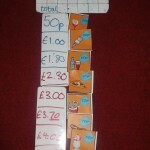 We had to make decisions as a group as to whether we would choose the cheapest or most expensive type of each item. One group had an excellent discussion about whether it was worth the extra 35p to buy crust-less bread for our sandwiches. Tomorrow we will be finalising our shopping lists for Miss Sloman to refer in December for the British Banquet. 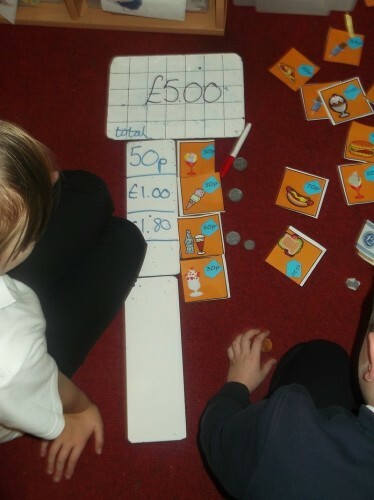 We have really enjoyed kick-starting money week with a whole morning of maths in Year 4! 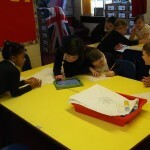 Our mission for money week is to plan our end of topic celebration of everything we have learned about Great Britain. In December we will be having a ‘Great British Banquet’. It will be completely organised by the Robins themselves. We have discussed everything that we might need for the party. 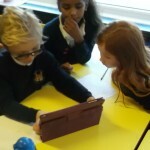 After Mrs Butterworths assembly we discussed the difference between what we might want and actually need at the party. The word of the week is ‘budget’! 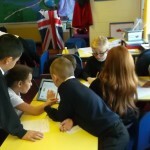 We will be planning how to complete our mission as well as how to stay under budget. 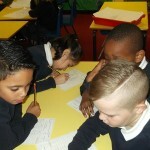 Watch this space to see how the week evolves as the Robins come up with more and more wonderful ideas. Today’s challenge was to build the tallest tower out of newspaper. 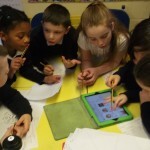 Class 4 reached for the stars! Unfortunately we ended up surrounded by newspaper on the floor. At one point our tower was over two metres tall. Then disaster struck! It was all or nothing, but at least we went tried our best! Another great day today. 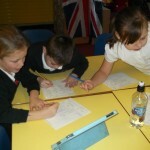 The children continued to tackle their maths investigations based around our class topic ‘Space’. Today they were asked to build a bridge, which would take the weight of a space rocket. The bridge was needed to transport the rocket across the rings of Saturn (just go with me here everyone). About half the bridges worked and we had a really constructive discussion as to why some where more successful than others. In the afternoon children created self portraits using a variety of materials. The whole school did this. The plates will be used to build a large number line later in the week. 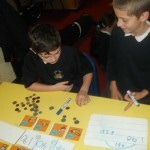 Great start to Maths Week from Year 4! What a great start to Maths Week! 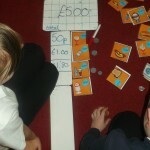 The children have worked really hard today, solving all kinds of mathematical problems and puzzles. 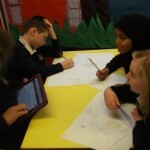 This morning we began our mathematical space quest. The children will be working on this all week. It involves solving different puzzles, in order to save Planet Earth from destruction (lets hope they pull it off). In the afternoon we created our own abstract artwork, where the children focused on using different shapes and colours to create striking images. The work was in the style of the artist Kandinsky. Well Done everyone, looking forward to tomorrow!